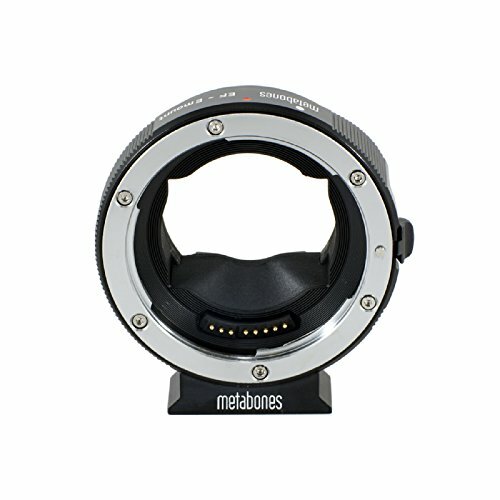 It seems Metabones has heard the call of their customers and addressed their concerns. The last firmware update treated lenses as “native” by default instead of “green.” Now you have an option to opt into “Native” mode, which unlocks the new enhanced features if your camera supports them. You can read the full release below and download the new firmwares. Vancouver, Canada, June 30, 2016: Metabones® thrives on constructive criticism by the community and the press, and customer feedback was the driving force behind the fastest phase-detect autofocus (PDAF) across the widest selection of EF-Mount lenses on the Sony phase-detect trio (A7 Mark II, A7R Mark II and A6300) through a series of incremental firmware improvements last year, a feat that still held just as true with the release of “native” AF firmware last week. This accomplishment was the cornerstone of Metabones’ “Ubiquitously Fast Autofocus” vision, providing the broadest range of mirrorless cameras with fast still-photo single-AF when using adapted EF-mount digital single-lens reflex (DSLR) lenses. It began with fast AF on Panasonic launched in tandem with the 0.71x EF-MFT Speed Booster ULTRA last July, followed by fast AF on the Sony phase-detect trio and Olympus cameras last year. An EF lens on A7 Mark II, A7R Mark II or A6300 focused so quickly that it was virtually indistinguishable from a genuine Canon DSLR under some use-case scenarios. Nevertheless, Sony’s contrast-detect AF cameras such as A7S Mark II and early phase-detect cameras such as A6000 still took seconds to lock using an EF lens, and that remained the final frontier to conquer before we could lay claim to be ubiquitously fast. With Metabones “native” AF firmware, these other cameras got an order-of-magnitude boost in AF performance. “Native” AF was also an order-of-magnitude faster than Sony A-mount lenses on Sony LA-EA3 adapter on these non-phase-detect and early phase-detect Sony cameras. With the “native” AF firmware release, “Ubiquitously Fast Autofocus” was fait accompli and our vision had become reality. “Native” was an informal term referring to a different version of the lens communication protocol which unlocked extra features such as direct manual focus (DMF), Eye-AF (A7 series), fast contrast-detect AF (faster for all Sony cameras except the phase-detect trio), continuous video AF, zoom position and focus distance display. Metabones did not make any representation of further performance improvement for the Sony phase-detect trio of cameras from “native” AF. Quite on the contrary, our previous announcement stated that “native” AF might have lower performance than the original “Green” mode phase-detect AF, which had been the fastest since last year. There was no performance regression in the sense that the user could configure the adapter to have the old behaviour (“Green” mode) back with a simple procedure. Hindsight being 20/20, switching the default mode from “Green” to “Advanced” was a mistake, and we apologize to affected A7 Mark II, A7R Mark II and A6300 owners who were inconvenienced by this change. Based on your input, we are releasing a new Metabones App 2.4 (E-mount v52) with the default mode reverted to “Green” again. V52 cannot be safer to install because no new features are activated and there are no changes in operation without you first opting in. Users of Sony’s contrast-detect AF and early phase-detect AF cameras are advised to configure your adapter to “Advanced” mode using the procedure in the User Manual section of our web site (http://metabones.com/article/of/green-power-save-mode) to get a significant AF performance improvement. In addition, we have made “native” AF-C slightly better and added C-AF support for Olympus OM-D E-M1, although an AF-C performance bottleneck remains in the lens’ inability to execute a series of fine maneuvers with minimal latency as commanded by the camera body. Metabones App 2.4 is available immediately for download from Metabones’ web site. We will continue to listen to your feedback as we have always been, because your input sets the direction of our future development efforts on “native” AF technology using adapted DSLR lenses. This entry was posted in 3rd Party Lens, Accessories, Sony a6000, Sony a6300, Sony a7 II, Sony a7R II, Sony a7S II and tagged Metabones. Bookmark the permalink. Trackbacks are closed, but you can post a comment.